The slithering shapes floating through the nether worlds and in the periphery of our consciousness shudder with uncontrollable glee when they think upon their greatest allies: Jimmy Swaggart, Jerry Falwell, The Exorcist, the Church Lady, Ghostbusters, etc., and all who either make a joke of their existence or fill people's heads with a simplistic scary theology. They are there all right, created by man, by his thoughts and feelings. We create the not-self through lifetimes. It keeps many tethered to earth when the soul yearns to be free to soar to etheric planes once death has released it. Here is the first example of possession, experienced by a lad of just 11 or 12 in 1885. It's from the book The Boy Who Saw True. It's just a fantastic, enjoyable read. The link is below. I hope you appreciate the humor and innocence. He is unaware that other people can't see auras (his third eye is open mostly because of past life attainment) and says the darndest things without guile. I love this kid. "...Miss Salt came by and said she was just going to take a little walk to the sea, and would I like to come with her. So I had to say yes so as not to be rude. When we got to the seashore we sat down on the lovely hot sand, and she said, "Tell me, how did you know about the old gentleman?" So I said I could see his face in her lights. Then she asked me, what did I mean by her lights, which surprised me very much, because the old lady is not blind, and doesn't wear spectacles. So I said, "Why, the colours round people, of course." Then she said, "What colours? I've never heard of that." So I reckoned this was very rum, and told her she must be short-sighted. But she said she wasn't, and I thought that so queer I said to myself, "Dear me, what is the matter with everybody?" Then I said, "You were very poorly once, weren't you?" And she said "Yes; how do you know that?" So I said, "I don't know, but I do know (somehow.) And I know that once upon a time you had a sweetheart you was going to marry, but he had to go somewhere first a very long way off, and he got hurt, and didn't come back again." And that seemed to make her jump, and she said, "I'll tell you what, little boy?" And I said, "Yes, Miss Salt?" And she said, Upon my word, I believe you've got second sight." " ... Then she took out of her satchel a funny old photograph, and said, "Do you know who that is?" So I said, "Why that's the old gentleman." And she said, "Quite right." pp. 44-45. The "old gentleman" should have gone on to 'heaven's' realm to prepare for his next embodiment, but his belief system and desires kept him earth bound. Then, there was a fundamental weakness in Miss Salt's character that allowed her ex-sweetheart into to her aura. Now, she is not her true self. The "old gentleman's" desires can't help but impact her when her will is not strong. Now, lets jump ahead about 60 years to WW II. George Ritchie has a near death experience in Texas while in boot camp. In this quote, an ascended master who he believes is Jesus takes him on a journey across the eastern United States. He wrote about it in Return from Tomorrow another great book I highly recommend. It's a quick read and very inspiring. "In fact the streets were impossibly crowded. Just below us two men bore down on the same section of sidewalk and an instant later had simply passed through each other ..."
"With a little chill of recognition I saw that she was unable to grip it." "... Clearly these individuals were in the same substance-less predicament I myself was in. "Like me, in fact, they were dead ..."
"Gradually I began to notice something else. All of the living people we were watching were surrounded by a faint luminous glow, almost like as electrical field over the surface of their bodies. This luminosity moved as they moved, like a second skin made out of pale, scarcely visible light. "At first I thought it must be reflected brightness from the Person [Jesus] at my side. But the buildings we entered gave off no reflection, neither did inanimate objects. And then I realized that the non-physical beings didn't either. My own unsolid body, I now saw, was without this growing sheath. "At this point the Light drew me inside a dingy bar and grill near what looked like a large naval base. A crowd of people, many of them sailors, lined the bar along the wall. Though a few were drinking beer, most of them seemed to be belting whiskies as fast as the two perspiring bartenders could pour them. "Then I noticed a striking thing. A number of the men standing at the bar seemed unable to lift their drinks to their lips. Over and over I watched them clutch at their shot glasses, hands passing through the solid tumblers, through the heavy wooden counter top, through the very arms and bodies of the drinkers around them. "And these men, every one of them, lacked the aureole of light that surrounded the others. "... I watched one young sailor rise unsteadily from a stool, take two or three steps, and sag heavily to the floor. Two of his buddies stooped down and started dragging him away from the crush. "But that was not what I was looking at. I was staring in amazement as the bright cocoon around the unconscious sailor simply opened up. It parted at the very crown of his head and began peeling away from his head, his shoulders. Instantly, quicker than I'd ever seen anyone move, one of the insubstantial beings who had been standing near him at the bar was on top of him. He had been hovering like a thirsty shadow at the sailor's side, greedily following every swallow the young man made. Now he seemed to spring at him like a beast of prey. "In the next instant, to my utter mystification, the springing figure had vanished. It all happened even before the two men dragged their unconscious load from under the feet of those at the bar. One minute I'd distinctly seen two individuals; by the time they propped the sailor against the wall, there was only one. "Twice more, as I stared, stupefied, the identical scene was repeated. A man passed out, a crack swiftly opened in the aureole round him, one of the non-solid people vanished as he hurled himself at that opening, almost as if he had scrambled inside the other man." pp. 56-61. "Seldom do people realize that from time to time they are surrounded with discarnate entitiesentities of fear, of doubt and of grief. Individuals create the climate that attracts these outsiders into their aura by their own attitudes. "A discarnate entity is a disembodied spirit who has not ascended to God; hence he is not karma-free nor is he free from the wheel of rebirth. 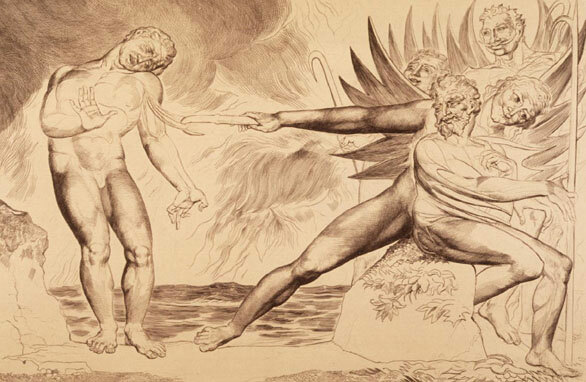 Since such a soul has not passed through the ritual of the ascension and become fully God-identified, he is as subject to error as anyone in embodiment. Still possessed of elements of a human ego as well as momentums of negativity, he may transmit these intentionally or unintentionally. "Discarnate entities may be benign, but they are not omniscient. They may impart truth, but they can be opinionated, proud and self-seeking. They are known to use people to achieve their own ends even as they steal people's light.
" ... In the matter of moods, we would suggest to every student that whenever he is invaded by feelings that are less than God-happinessfeelings of discomfort or disquietudethat he look for the cause of those feelings in his own subconscious mind. This may include his entertaining negative ideas which may have entered his world. "Second, he should consider the influence of masquerading and malevolent entities. When an individual seeks to improve himself by engaging in religious worship, by attending a constructive lecture or concert, or by reading religious literature, the vibratory action of the higher pursuit makes any invading entities he may be harboring extremely uncomfortable. "Thus the entities, unwilling to relinquish their hold on the lifestream, will project to his consciousness a feeling of discomfort or unhappiness. The entities will assure the individual that this is directly attributable to the activity in which his is involved. "In this manner, many sincere souls are either stopped on the Path or they are prevented from obtaining the benefits of higher meditation. Thus, through their susceptibility to invading entities, they are deprived of the opportunity to receive transcendent blessings. "...This is why spiritual protection is necessary for those who would continue to progress on the upward way. And I speak of protection not only through the knowledge I am conveying but also through decrees, through prayer and through the determination to do the will of God no matter what. "Thus, you will find yourself making rapid spiritual progress when you determine to cast out discarnate entities from your world. These include departed spirits of relatives, friends or enemies. And they may be positively or negatively magnetized to your person. "Indeed, invoking God's protection will insulate you from the malice of those whom you may not even know are your enemies. This malice often comes through practitioners of black magic, witchcraft and Satanism who use their powers to attack those who would escape their influence. These practices can be subtly alluring to those not grounded in spiritual knowledge and who do not understand the karmic penalties that accrue from such dangerous activities. "Because of the increasing threat of witchcraft, black magic and Satanism in the United States and throughout the world, spiritual aspirants must exercise caution and discern when negative influences are acting in their worlds. They should always weigh the evidence before they credit their failures or seeming failures to themselves." pp. 88-91. 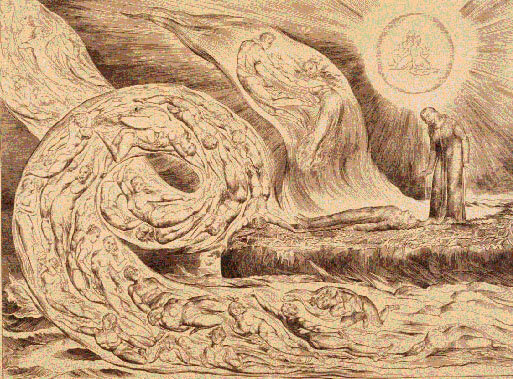 Dr. Modi in Remarkable Healings, learned of the presence of demons through hypnotizing her patients. Yes, there are demons as well, who inhabit astral regions. She was actually able to talk to some of these demons. They are so filled with pride that they did not mind in the least exposing their tactics. Here is what some of them had to say. As the previous quote said, they are not always telling the whole truth. They are not omniscient and they have their own agenda. "I enter into people and take over their brains and their bodies and I manipulate their thinking and actions. Then they get on the thought and physical pattern, that they accept as their own and it goes on and on. ... I can also cause a type of cancer. Cancer can be due to chemical and biological reasons and it can also be due to the entities. ..."
"...When people watch X-rated and pornographic movies, they lower their vibrations and open their shields for us to come in. Then we give them obsession to watch them more and more. Images are stored in the visual cortex. We can restimulate their visual cortex through a transmitter type of device and give them urges to watch these movies. We also squeeze their testicles and give them inappropriate sexual urges. They seem to focus at the lower level of vibration and it retards spiritual development. Their concentration is focused outside their partner and weakens their love and relationship. They develop indifference and inability to see their partner as a person. They think of them as an object." Difficult stuff to digest, a little bitter in the belly, I expect. Maybe you have some friendly pet critters hanging about that hate this message. They are kicking and screaming, trying to convince you that their thoughts are your thoughts. An interesting dilemma. If one is interested, there are ways to get rid of them. Confession, asking for forgiveness and then leading a righteous life is the best antidote. As Jesus said, 'the devil has nothing in me,' which means if there is nothing in us to attract these demons and entities then they will have no power and leave us alone. To accelerate the process, asking for Divine assistance from someone like Archangel Michael is the best form of exorcism. In some traditions such as Catholicism and Theosophy, a stainless steel sword or long knife used with calls to St. Michael will work wonders cutting away these infestations of the astral world. Use that sword all over your body as you give Pope Leo XIII''s prayer below (this is the short version). The more you give it the better. Your critter pals also hate certain types of incense, like frankincense, pine and deodar. Now visualize Archangel Michael standing right there and get to work, unless of course there is a small voice inside of you saying otherwise. Saint Michael, the Archangel, defend us in the day of battle; be our protection against the wickedness and snares of the devil. May God rebuke him, we humbly pray, and do thou, O prince of the heavenly host, by the power of God, thrust into hell, satan and all the other evil spirits, who roam through the world, seeking the ruin of souls. Amen. 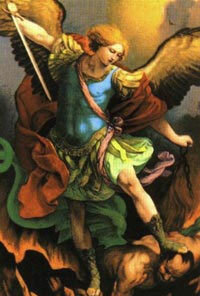 To go to a large picture of Archangel Michael with this prayer below, click here. I would not recommend doing exorcism on other people. You might stir up a hornet's nest that you are ill equipped to deal with. Happy hunting.